← Eighteenth-Century German Literature and the Italian Renaissance. Poetry, Philosophy, Religion. We are delighted to announce that registration for our conference is open! 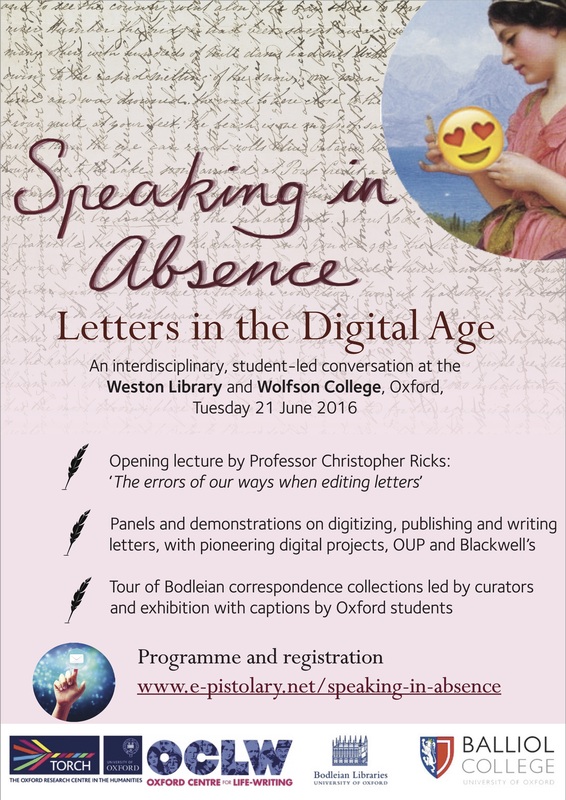 The conference is a one-day, interdisciplinary, student-led conversation on how we engage with handwritten letters in the digital age. We aim to explore the potential for collaboration between academics, librarians, technicians, editors, and publishers for the creation of mutual frameworks within which to use the digital as a means to supplement the analogue. We have chosen correspondence as a vehicle for this exploration because in the age of social media, its nature raises immediate and intriguing questions about the progression from material object to digital resource.